Everybody loves Łódź, right? Well, there are still many who have never heard of it and the city may not be an obvious tourist destination for anyone, let alone kids. But you're either planning to go or are here now and you're thinking what to do, and importantly, how to keep the kids and yourselves entertained and happy, right? Thankfully, we have experience in this field and we're happy to share with you our recommendations. First things first, you can only expect the younglings to be quiet and respectful in churches, memorial sites and boring history museums for so long, and you can’t expect them to fully enjoy the same places you may like, such as cellar bars or stylish clubs, unless you're seeking a visit from child protection services... There must be something else to do in this town, right? Some form of middle ground for kids, adults and the kidults among us? Yup! What we've learned during our time exploring the city is that not only is it a quite an impressive place for anyone wishing to explore, it also has quite a lot of stuff for kids to see and enjoy, come rain or shine, hot or cold weather, you'll always be occupied! We’ve listed local family-friendly destinations throughout our guide, plus reliable recommendations for where to eat and drink where your kids will be treated as welcome customers, rather than ire-inducing annoyances. Don't worry, folks, we've got you covered. But back to the cool stuff. Of course the first step to having a great family vacation abroad is to accept that what you want to do, and what your kids want to do are hardly one and the same. 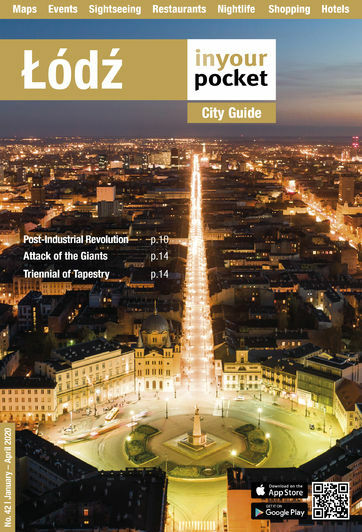 That said, there’s no reason you can’t find some common ground in Łódź’s major attractions. Everyone has Manufaktura on their visit list, and thankfully when it was developed, they had everyone's interests in mind! If you choose to go the more adult orientated Museum of the factory, there's a creche, Jupi Park, should you have really young kids who only want to jump and roll around, but otherwise, you'll be glad to know that the museum itself, and indeed, the whole Manufaktura complex is very kid-friendly! 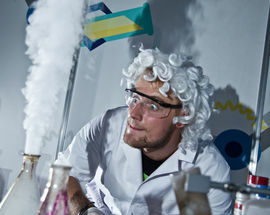 Other venues include the Experymentarium with fun-filled science based games and experiments for the kids to enjoy, and if leisure is more your thing, then Cinema City with its IMAX screens (alternatively, there's Mulitkino Łódź in the city centre) to see the latest kids' movies which can be good for a rainy day. They also have Arena Laser Games and a climbing centre which is fun for all involved! Sometimes the best thing to do when there’s easy-tiring kids involved and you want to see as much as possible is to simply walk around, or take a charming rickshaw ride, along ul. 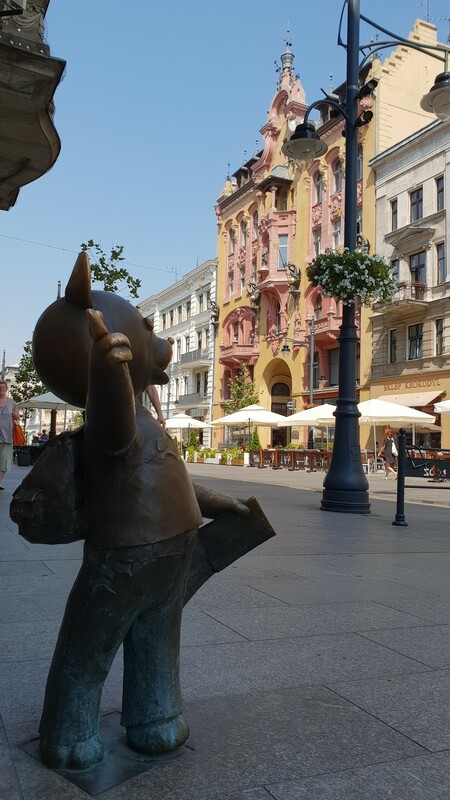 Piotrkowska, where along the way you will see many funky monuments the kids will love, like the Lamp Man, the Hollyłódz walk of fame, and at the beginning of the street, some fantastic street art in the form of the reflective world of Róża's Passage – great for a photo opportunity! If you have slightly older kids, then cycling around the city using Łódź's public City Bike rental scheme (available Apr-Nov) is a fantastic option, that way you'll get to see more of the city more quickly, all while cycling around - who doesn't like bikes, right?! 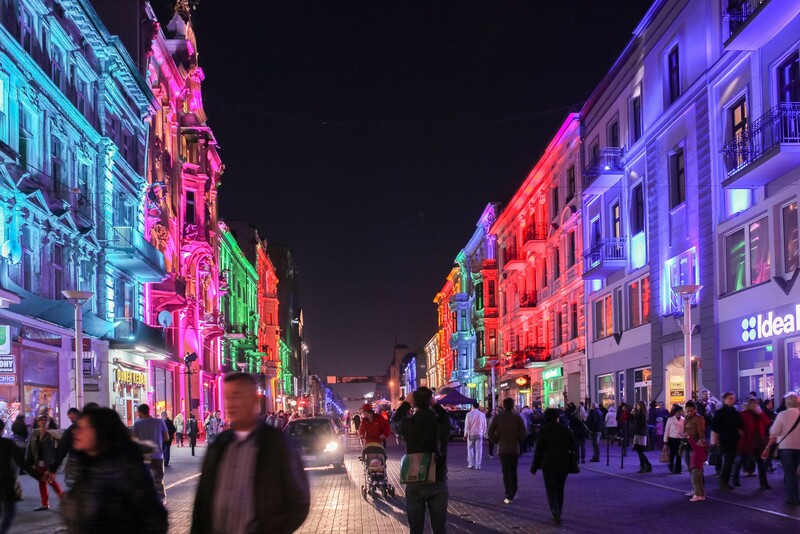 One of the great things about Łódź is that it's great for visual stuff, quite an aesthetic city, if you will, and with the Light Move Festival coming up in September, the streets and various buildings will be lit up all manners of bright colours, which will be visually stunning and entertaining. 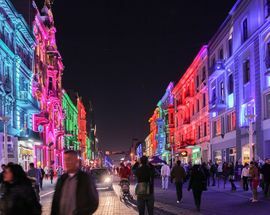 If that's not enough, during Christmas, the city is adorned with lights, and the impressive displays on Piotrkowska are quite unique – the full length of the street is covered in twinkling lights and decorations! If that wasn't enough, Christmas stalls will be on the street, and in Manufaktura too, to really set the mood for the season, along with an ice rink! 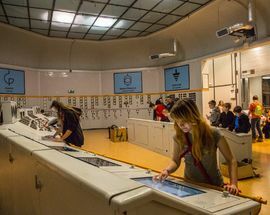 As for museums around the city, the perfect choice is to go to the EC1 complex next to the main Łódź Fabryczna train station. 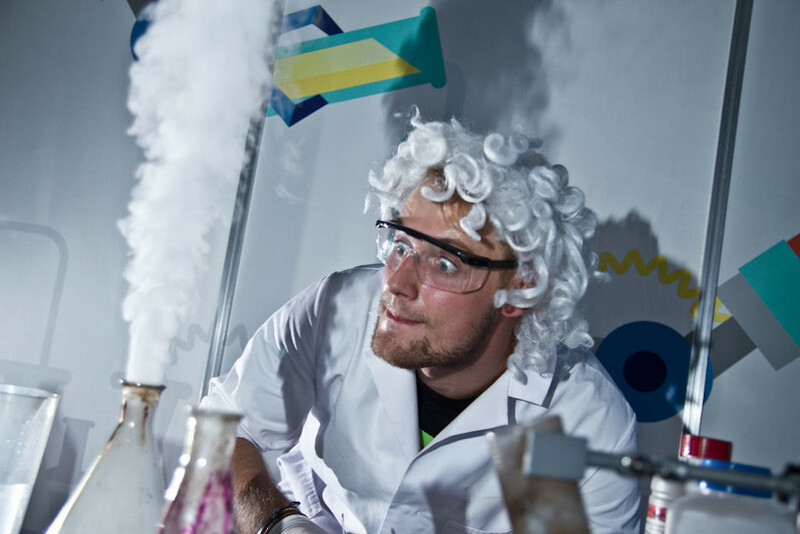 Not only will adults enjoy it, but the kids will simply love it - from the super modern planetarium to the newly opened Centre for Science & Technology, there's plenty of fun to be had! If you want to learn more of Łódź's film connections (there's a reason it's called Hollyłódź!) take them to the Museum of Cinematography - guaranteed fun, for you and the kids. 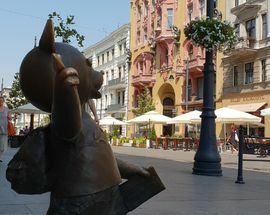 There's one little charm about Łódź which is perfect for the kids, and this is the hunt for the Fairytale Łódź (Łódź Bajowka) monuments – a collection of 9 cute monuments (marked on our guide maps) to Polish cartoon characters made by the Oscar winning Se-ma-for animation studio – a top tip, go to Łódź Tourism Organisation on ul. 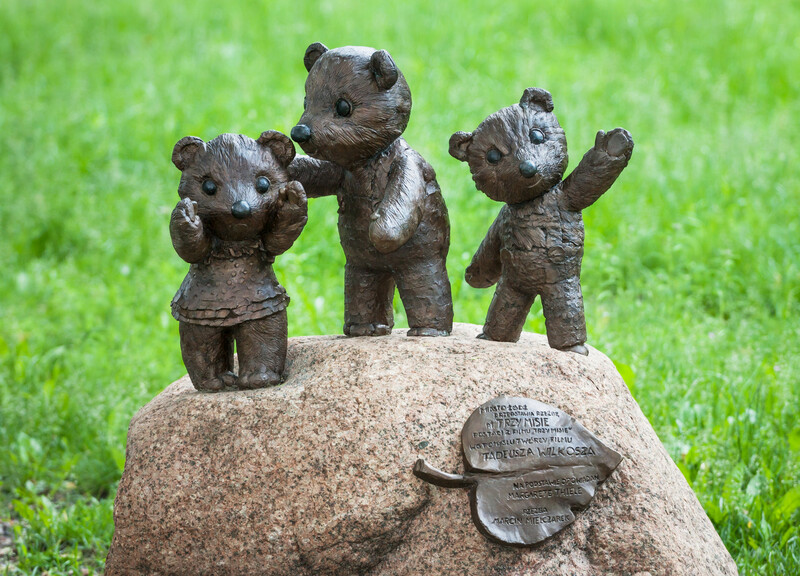 Piotrkowska 26 and pick up your free 'Fairytale Trail' (Bajkowy Szlak) guide which the kids can take with them and mark off each monument once they've seen them. 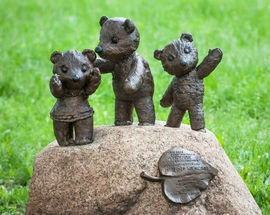 The good news for you, dear adult, is that the monuments are all located near main sightseeing or shopping destinations. Call it a 'carrot on a stick' recommendation! Even along the way, you will pass many colourful pieces of street art, which are also marked on our maps, and certain to catch the kids' interest - there are plenty to see even within the immediate city centre, so no need to go to far off districts. Other outdoor leisure activities could include a simple walk through Sienkiewicz Park (also the location of the Museum of Natural History) or a visit to the zoo – what kids don't like animals?! Sticking with the animal kingdom, the Carmen Parrot Centre allows you and the kids to get up and personal with hundreds of wonderfully colourful birds. And if the weather's not too great, something you may not have considered, would be to take them to the Museum of Public Transport, filled with many huge trams and buses used in Łódź over the last 100+ years. What kids don't like exploring huge versions of the toys they often play with? 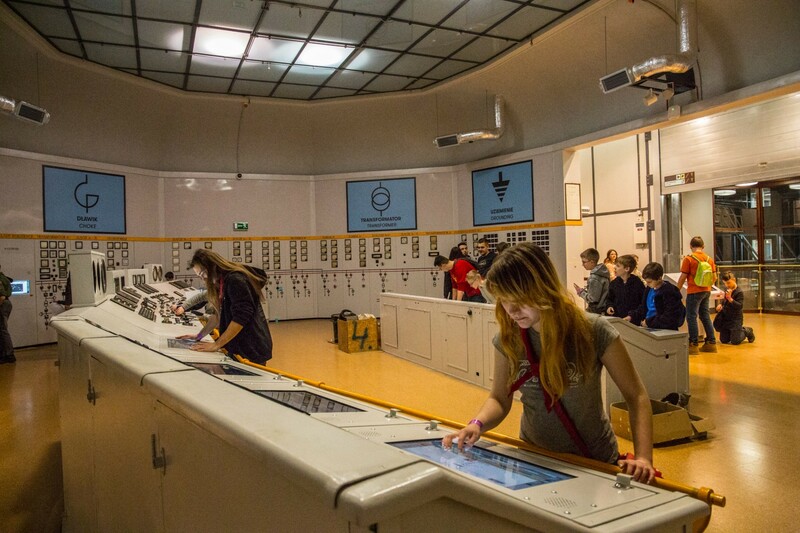 If your kids are quite active, then take them on a fun filled day out to the Aquapark, packed with slides, indoor roller skating at KołoWrotki, or traditional ice-skating, SALTOS Trampoline Park or even 10-pin bowling, or something altogether different, experiencing virtual reality (VR) gaming at Virtual House! We hope you and your kids enjoy the city, but no doubt even if you are here alone or only with adults, the kidult within you will certainly consider going to check out some of our recommendations, and why not? We all deserve to have fun!